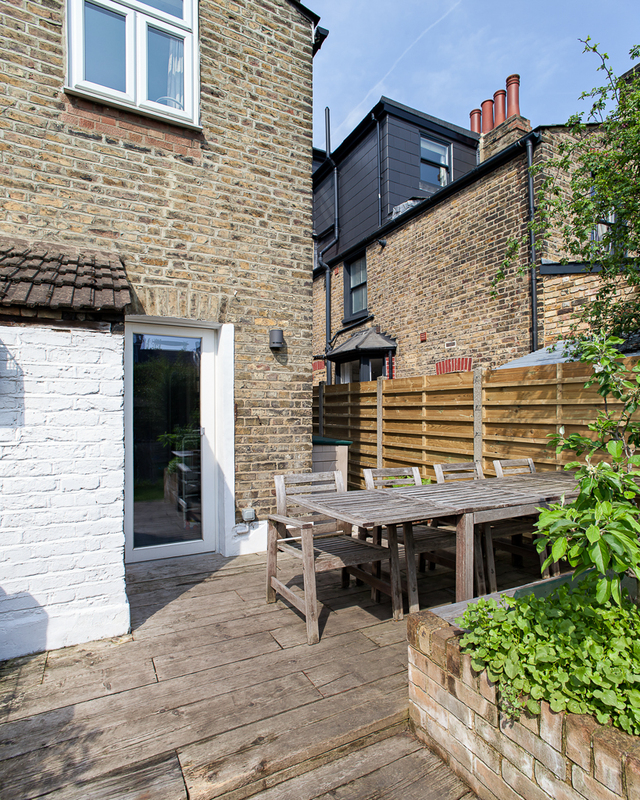 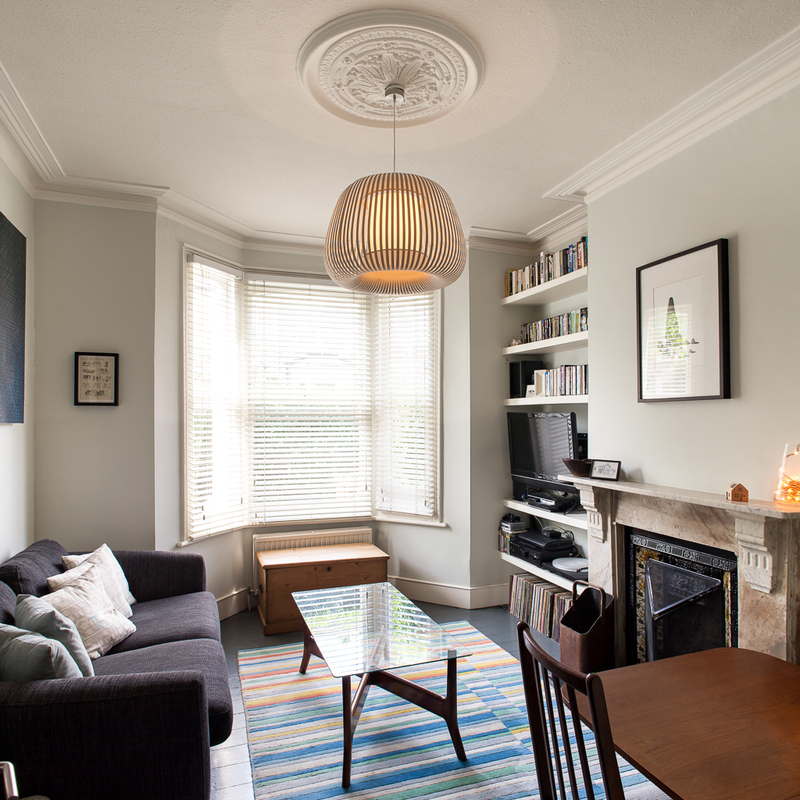 When this ground floor flat had been bought by our clients it had been described as a two bedroom property. 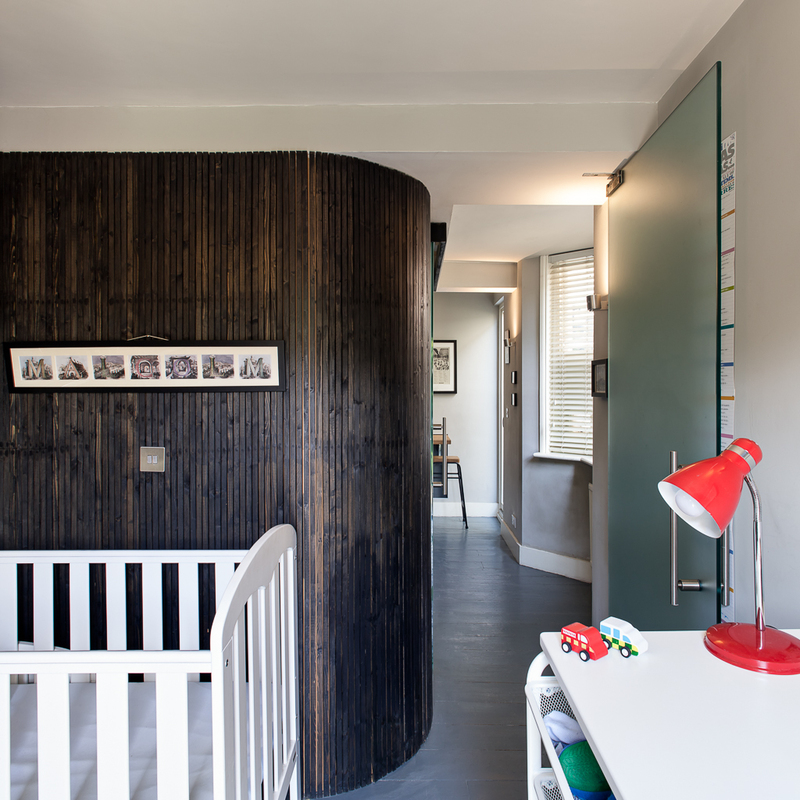 It quickly became evident to them that the second bedroom could not accommodate anything larger than a single bed. 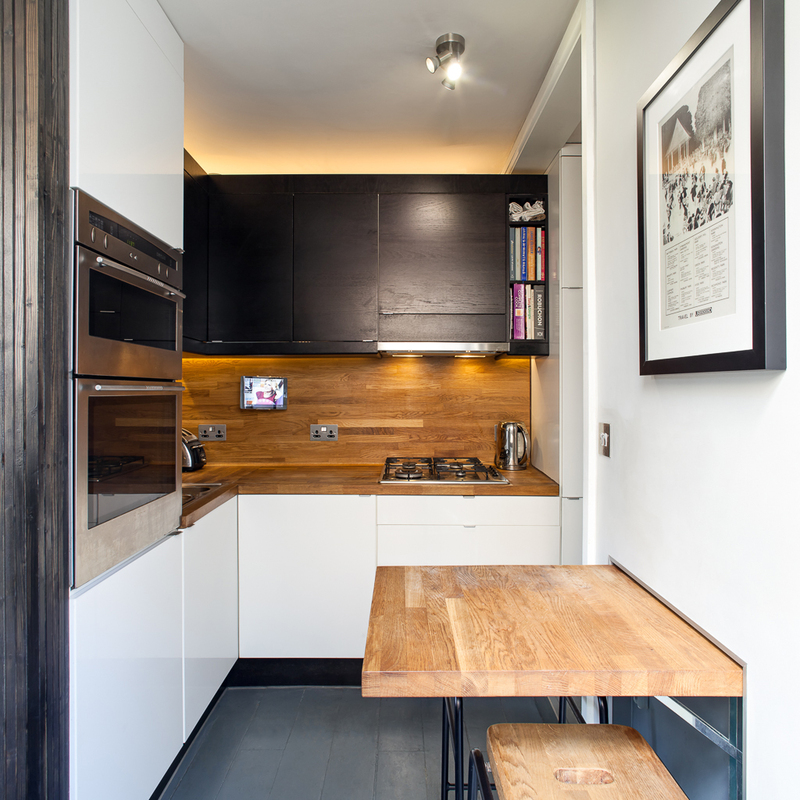 The kitchen had also been positioned at the rear of the house which created a long dark corridor space using up valuable floor area. 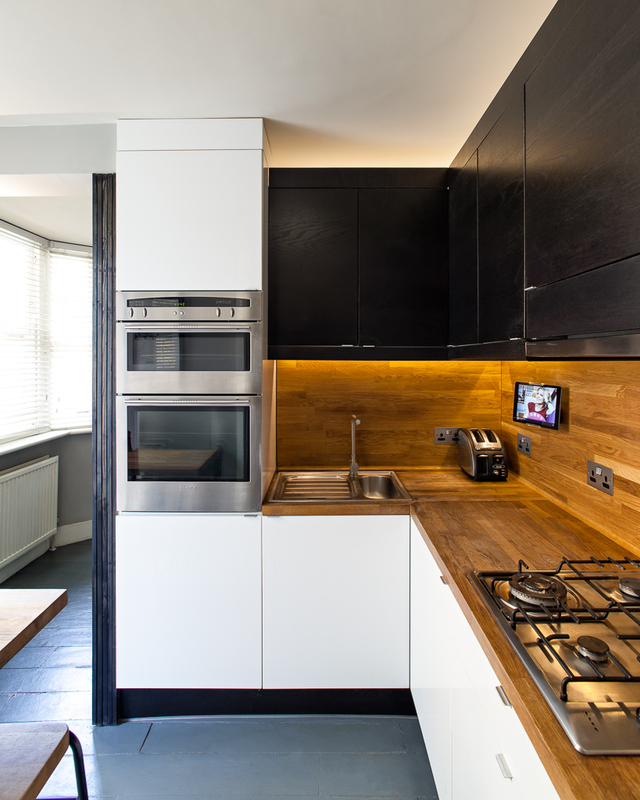 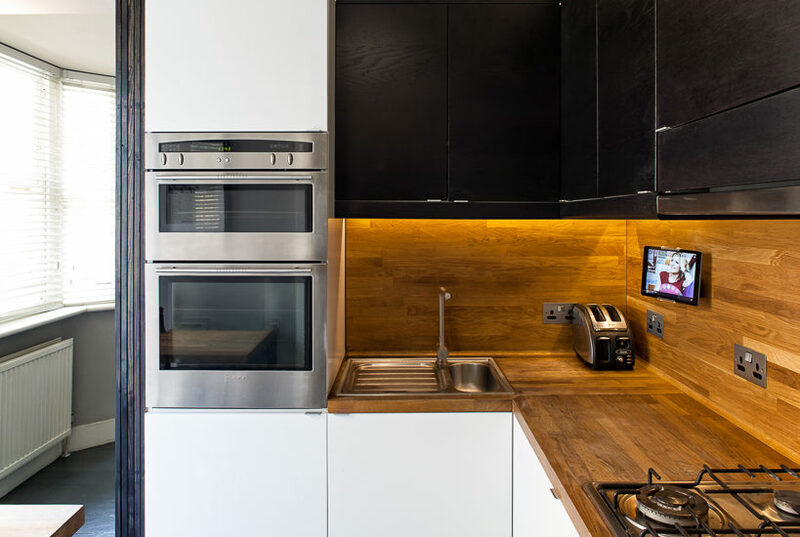 We re-planned the flat to bring the kitchen into the heart of the plan with a closer relationship to the living room and main bedroom. 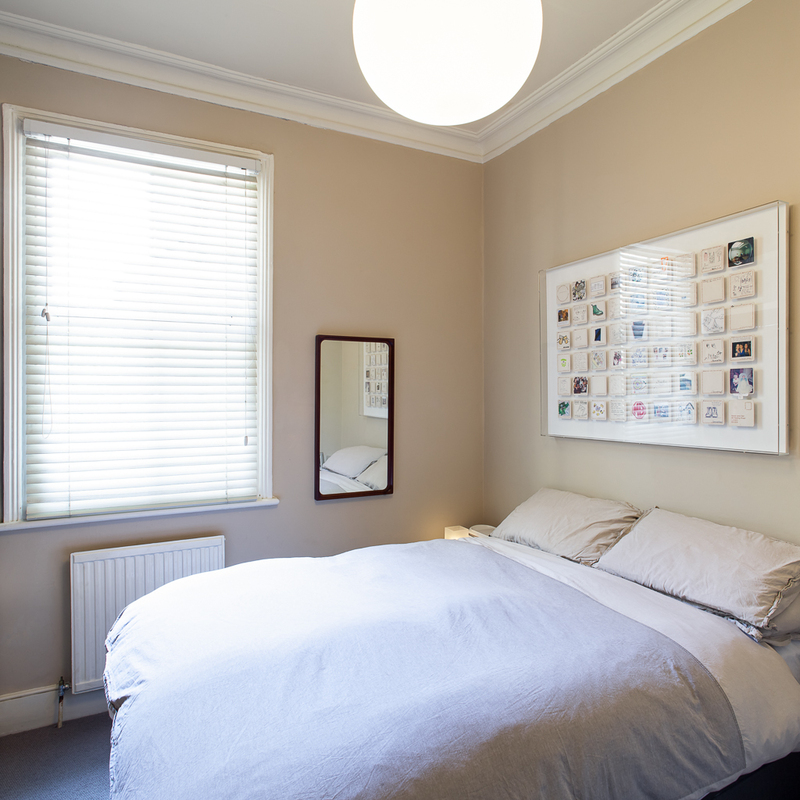 The new bedroom at the rear of the house benefits from access to the rear garden and is now large enough for a double bed. 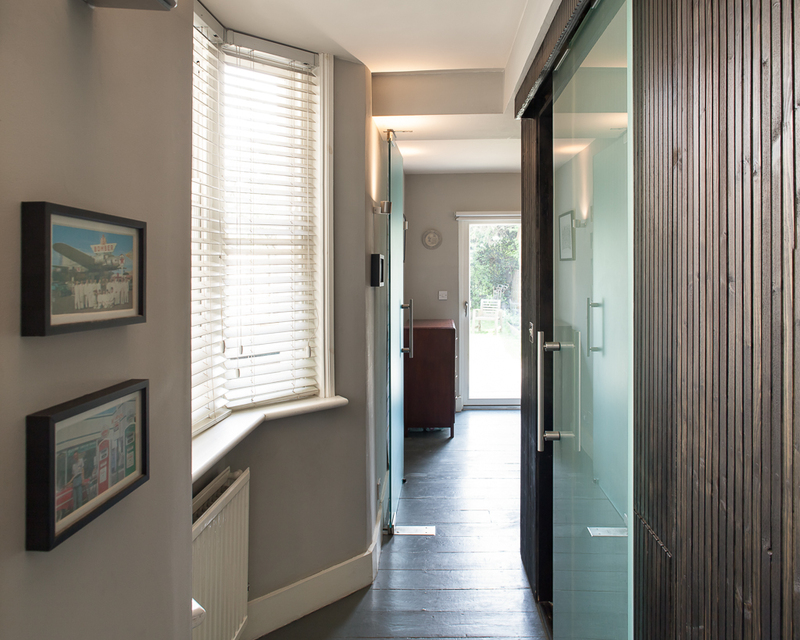 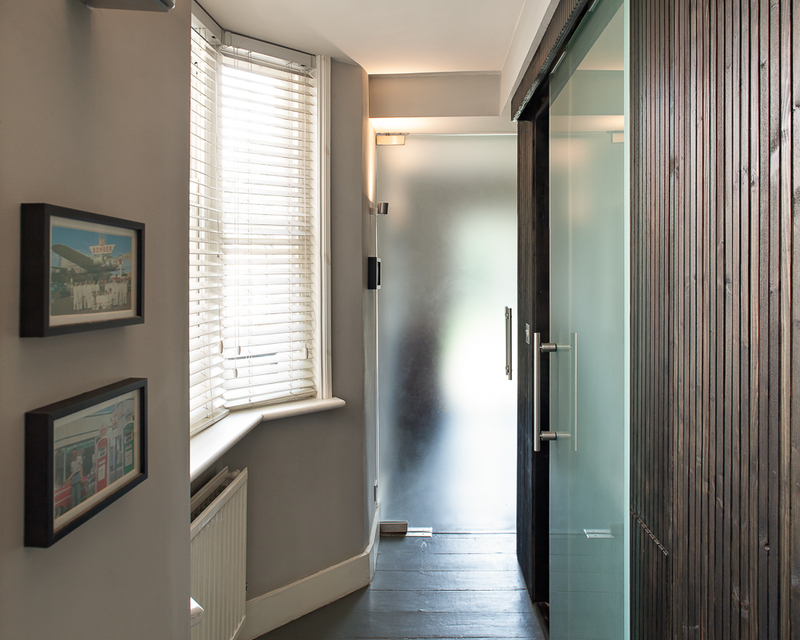 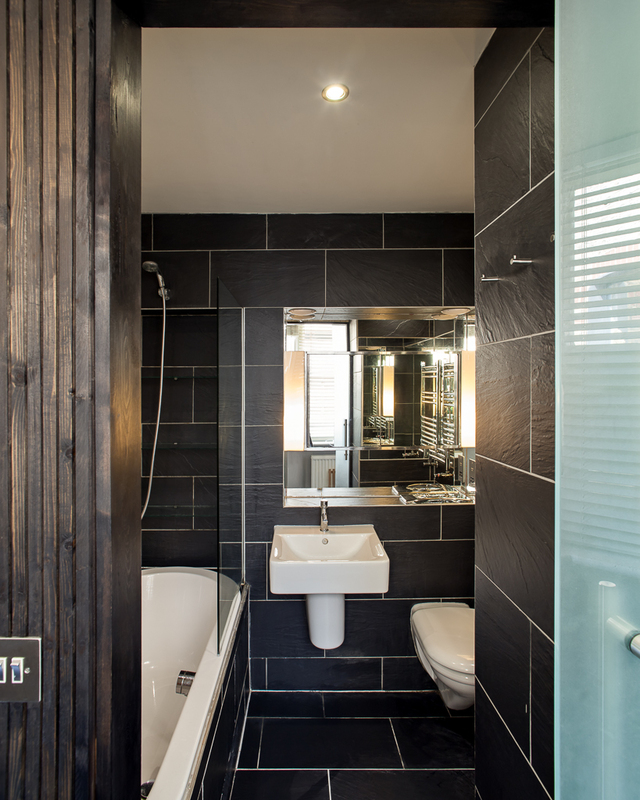 The bathroom is concealed between the two spaces behind dark stained timber cladding. 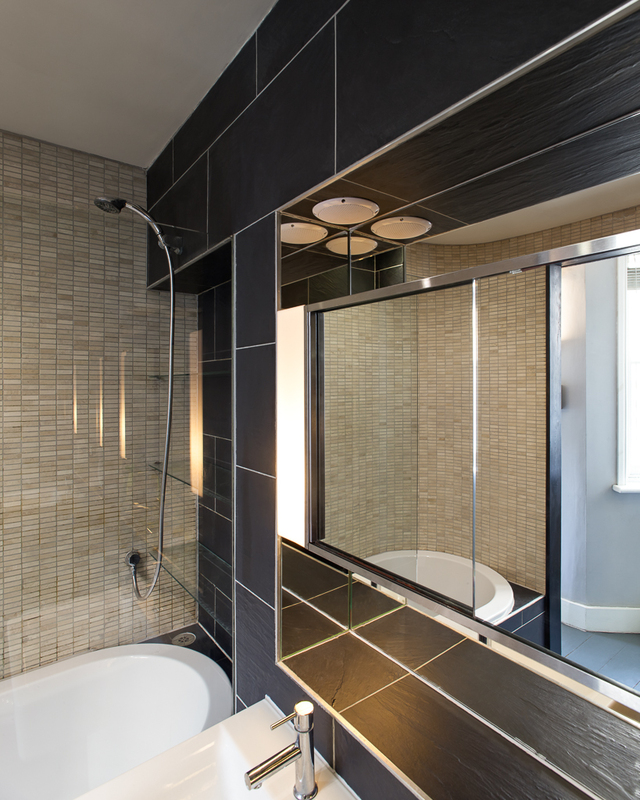 This follows the curved profile of the double-ended bath to maximise space. 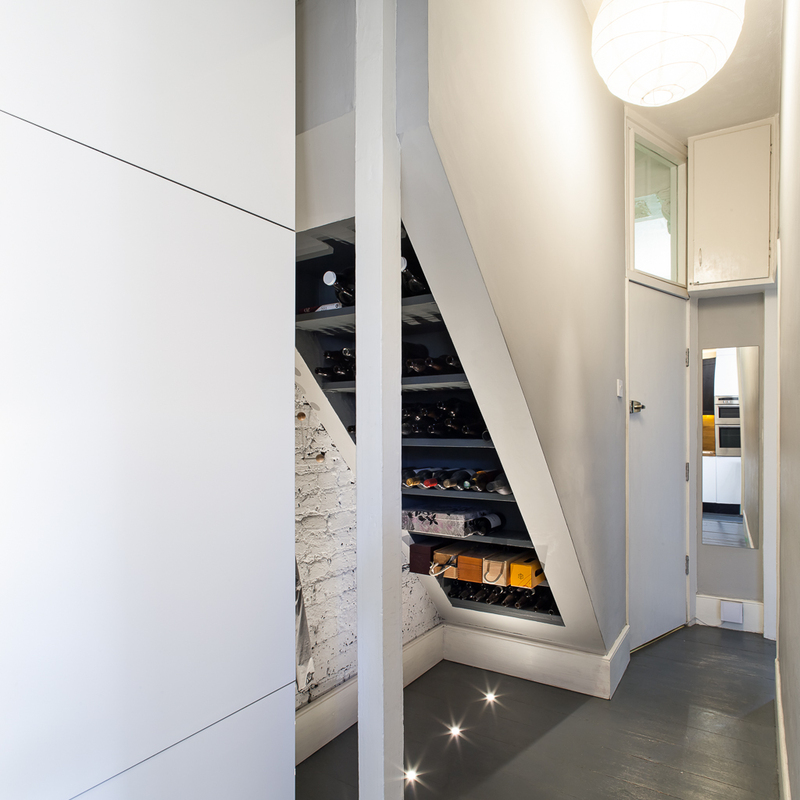 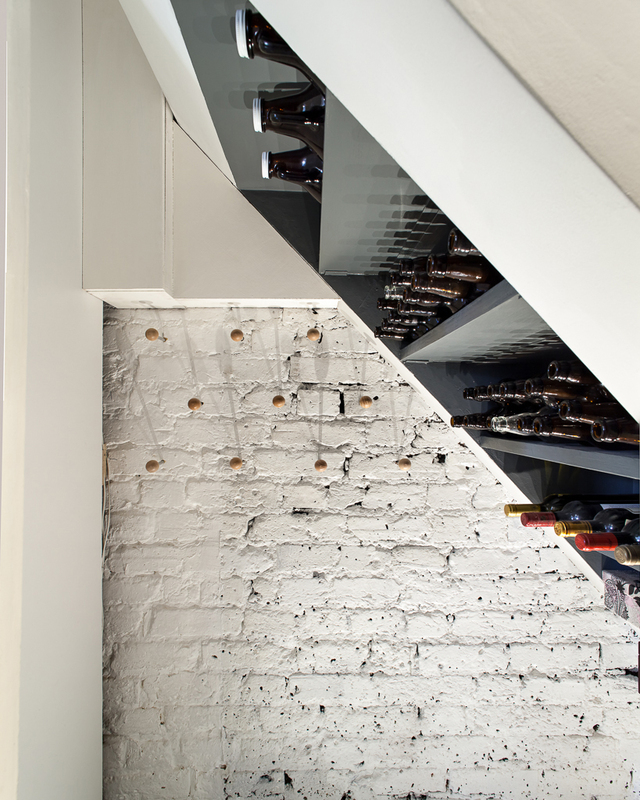 A custom built wine store was incorporated to the underside of the stairs to the first floor flat. 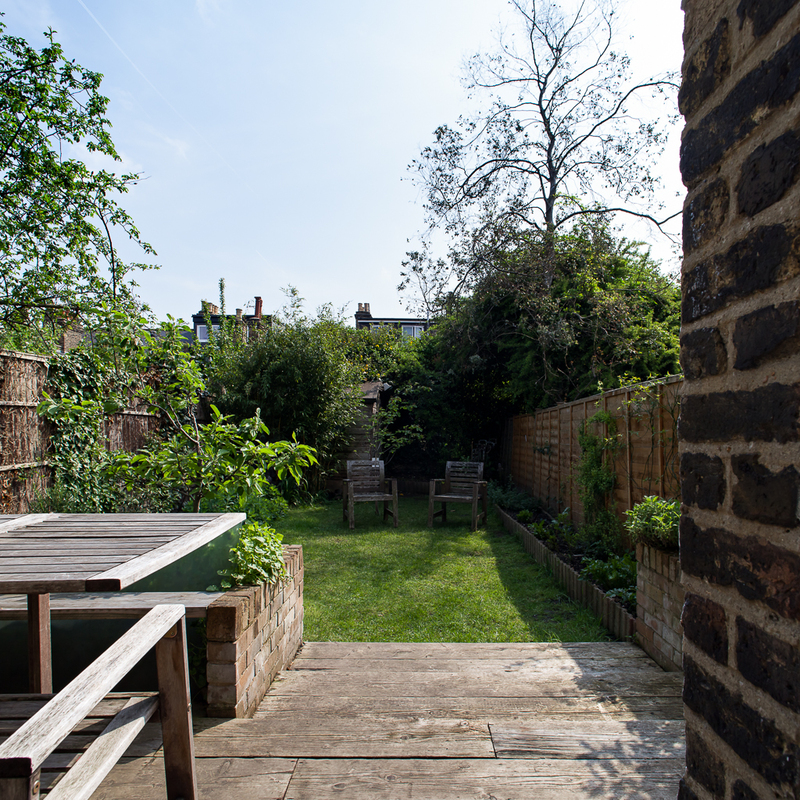 Reclaimed timber, bricks, glass and roof slates were incorporated into a simple landscape plan by Jeremy Rye Studio to maintain an outdoor play space for the client’s young son.